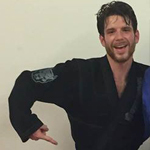 Jake holds the rank of blue belt in BJJ under Brian Fernandez and has been training Muay Thai under Daniel Agid. Come in Saturday and Sunday and talk to Jake about signing up and knock the boring out of your fitness routine! Jake is also an assistant manager and part of our sales staff. Olivia specializes in group training and high intense cardio and resistance training workouts. She also teaches at our sister gym, Bay MMA & Fitness in Hayward, where she has continued to add combat fighting skills to her repertoire. Come take one of Olivias no nonsense classes every Thursday at 5:15pm! 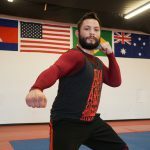 With 15+ years in European style Boxing Alexey specializes in teaching basic boxing techniques and boxing conditioning. Come check out one his classes every Monday and Wednesday night 7:45 pm and Saturdays at 10am! 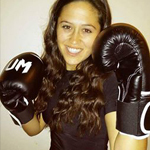 Angela started Kickboxing in 2013 and soon added Western Style boxing and TRX to her repertoire of training.